Comodo CA announced today that it will now be known as Sectigo moving forward. 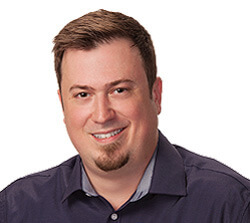 This was a decision that has been in the works for a while now and stems from the acquisition of the Comodo Certificate Authority by Francisco Partners almost a year ago to this day. This is obviously a big announcement, one that triggers a number of questions for partners, resellers and customers of the Certificate Authority formerly known as Comodo CA. As one of Comodo CA Sectigo’s biggest partners, we were fortunate to get a heads up on this a while back. Actually, if we’re being honest we knew before they told us thanks to the magic of public trademark databases. Regardless, we’ve got answers to a lot of those questions, which is what we’ll cover today. Sectigo – What’s in a Name? Let’s go back to the acquisition of Comodo CA last Fall. Francisco Partners is an American private equity firm focused exclusively on investments in technology and technology-enabled services businesses. Francisco Partners Management LLC was founded in August 1999 and has been growing ever since. Last Fall it pulled the trigger on this acquisition. Much like the Symantec deal with DigiCert that saw its entire CA operation switch hands, Comodo sold its Certificate Authority, but continued on offering other security products – like cWatch and its popular antivirus software – as Comodo Group. And unfortunately, given the fact that both companies – which are now distinct entities – operate in the same industry, go to the same trade shows and deal with the same media, there was the potential for myriad problems. Unless you’re intimately acquainted with the financial comings and goings of the digital certification industry you would have no idea those are two different companies. You see more differentiation between Coke and Coke Zero. So, to avoid being thought of as Comodo Lite, a name change was needed. We are at the edge of a digital revolution, an untamed frontier full of opportunities, and of pitfalls. Standing at the ready, between you and those who’d take advantage — is us. We think collaboration. We breathe security. Our drive is helping you. When we sleep, we dream of innovations. When we wake, we pioneer solutions — and deliver them to you. We never stop, because they never stop. For over 20 years, we’ve built tools that protect and empower users — from the biggest brands to the smallest sites — to connect, to discover, to prosper. So, blaze your trail and seize your tomorrow with Sectigo. What is changing now that Comodo CA is Sectigo? This is primarily a branding change, so pretty much anything with Comodo CA branding is being updated to the new Sectigo logos and colors. Sectigo is also using this as an opportunity to streamline its website and interfaces with the aim of improving customer experience. What’s not changing with the Sectigo rebrand? Sectigo is still the same company that has over 20 years of industry experience and the largest market share of any commercial CA. Its DNA is still the same. It’s still the company that has issued over 100,000,000 SSL certificates in over 150 countries. It’s just rebranding to distance itself from the Comodo group. And though some of them may be going by different names, all of the same products will still be available, too. Sectigo acquired CodeGuard in August, so it will also be offering website maintenance, backup and recovery solutions now. Will my Comodo CA SSL/TLS certificate still work? Yes. All of the Comodo CA roots and their descendants will continue to be trusted and you may continue on using your Comodo CA digital certificates, along with any associated site seals, through their expiration date—though Sectigo will also send you directions on how to update the seal in case you’d like to. And should you choose to renew the certificate the only difference will be that it’s now a Sectigo certificate instead of a Comodo one. You have nothing to worry about from a customer standpoint. Is this Sectigo rebrand going to jack up prices? No. The rebrand won’t make it as far as the price tag. 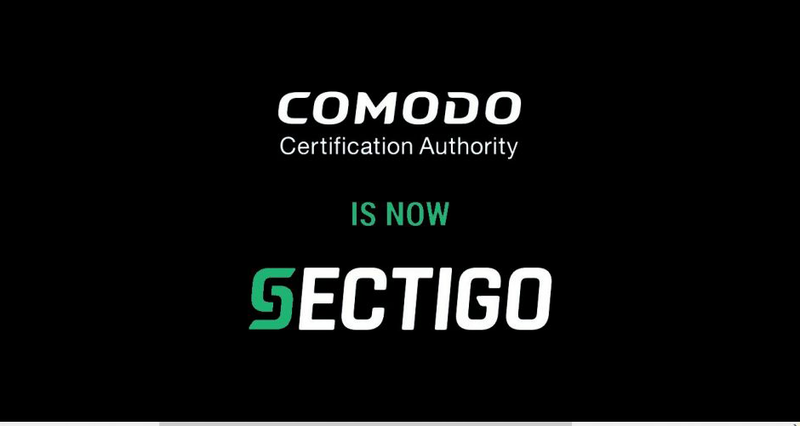 You can still expect Sectigo digital certificates to sell for the same price as their Comodo CA equivalents. We will continue to offer multiple levels of security, price points, and packages for every size business. Pricing will not change as a result of the rebrand. However, the company may adjust pricing for products and services in the future, and all sales will continue to reflect current exchange rates for purchases outside of the U.S. Does Sectigo have its own Roots? Not yet. Getting a root included in a root program is neither simple, nor expeditious. Because a trusted root is such a precious and powerful commodity, root programs are very stringent. I keep pretty close tabs on the Mozilla root forum and Sectigo hasn’t even attempted to get its root added there yet. Until Sectigo can get its root certificates added, it will continue to use the existing Comodo CA roots. It’s unclear whether or not it’s already spun up intermediates to begin cross-signing, but it will likely be a while before Sectigo can get its new roots added to the major root stores. UPDATE: Sectigo will be transitioning from its Comodo CA roots and intermediates in January. It will begin using the USERTrust roots it already had and will spin up Sectigo-branded intermediates. What products does Comodo Group offer? Pretty much any Comodo cybersecurity product that didn’t fall under the umbrella of SSL/TLS and PKI is still under the auspices of Comodo Group. So products like Comodo Antivirus, cWatch and vulnerability scanners are still being sold under the Comodo brand. Immediately. As of today, Comodo CA exists only in a legacy capacity and all new business will now be conducted under the banner of Sectigo. Obviously, as things develop we’ll keep you updated. I wasn’t a fan of the name at first, but it’s growing on me as I see how the name fits the direction Sectigo is headed. For me, the name brings to mind the words “security” and “go” which seem to fit Sectigo’s new, broader focus. The web has a lot that’s changing right now – the explosion of IoT, increasing security concerns, privacy legislation, more and more ubiquitous internet devices, etc. Sectigo is already expanding their product line to include more security solutions for IoT, web, software, email, etc. It’s going to be a fun ride, with lots of new and exciting stuff over the next couple years! Francisco Partners. Francisco Partners is an American private equity firm focused exclusively on investments in technology and technology-enabled services businesses. Francisco Partners Management LLC was founded in August 1999. TL:DR, No iconography, no warm fuzzy, increased abandonment.